Cybercrime causes over $1 trillion in damages every year. Understanding the statistic is the first step to avoid becoming one. There are so many scams out there today designed to dupe you and trick you into making yourself vulnerable and giving up your information. It is more important than ever to be cautious on the internet as cybercrime increases at an exponential rate. Cybercriminals have become more creative and conniving in the ways that they gain access to your information. 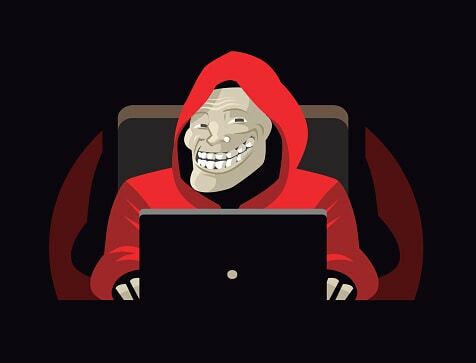 Currently, there has been a scam occurring where cybercriminals deposit malware onto your computer, then the criminal pretends to be tech support from a reputable company such as Microsoft and attempts to “help” you fix your computer. Of course, when they are “helping” you they are also mining your sensitive data or stealing your personal information. This is extremely dangerous because you are talking directly with the criminal either via instant messaging or over the phone. They can gain more information from talking directly to you than they can be mining your computer. Another extremely common scam is email phishing. This involves criminals sending out emails it tries to trick you into giving them your information such as your Facebook login, phone number, or address. These could look like free promotional from companies, like coupons or raffle gifts as well. Always be wary of emails from unknown companies that you haven’t heard of or didn’t specifically request emails from. Also, if you see that an email is part of a chain that is a sure sign that it is a scam. A scam to beware of especially during the holidays is the eCard scam. This is when you will receive an email offering a free eCard service. Usually, it will say something along the lines of “send your first ecard for free! Click this link”. Never click the link unless you specifically requested an eCard service and are expecting it. During the summer months the number of travel scams increases. These scams often involve some type of last-minute free travel to an exotic destination that has a time limit on the offer. These kinds of offers appeal to a person’s sense of adventure, however, these are very rarely real offers and just a quick way for scammers to get your information. After natural disasters, scammers will take advantage of people who seek to help victims and will set up fake websites to accept donations, or send emails asking for monetary donations. Another common scam is the “overpayment” type. This scam occurs when a scammer finds an ad for something you have posted trying to sell such as a car or computer. They pretend to be a buyer and offer you a larger sum of money than what you are asking for. They do this supposedly to cover costs of extra shipping fees for international shipping. They will often send you a fraudulent cashier’s check or money order and then have you send a check for the difference with the goods they purchased from you. A similar case can occur when you post your resume online. You may get a job offer from an overseas company. In this case, they will ask for your banking information to “pay” you. Then, of course, you will never get paid but will probably experience identity theft, or money stolen from your account. As a rule of thumb, beware of any messages, pop-ups, or emails that either request money from you or are offering to send you money. Scammers get very creative in the ways they will try to trick you into giving up your information. Sometimes they will claim to be a lawyer representing a deceased family member who has given you an inheritance. Another common play is they will pretend to be a representative of a government agency requesting urgent payments. A less common play is the criminal will send threatening messages until you pay them a sum of money, this is called “the hitman” scam. Other common plays are the “lottery” scam and the “credit card or loan” scam which are offering you money in exchange for your information. The two common themes of all these scams are that they always come off as urgent, insistent, or pushy. Furthermore, they always are either urgently requesting money to solve an issue or offering you money in exchange for some type of information. There are certain precautions that you can take to protect yourself from these types of scams. Here are some of the basic guidelines you should know. Use common sense. If your computer stops working properly right after visiting a website or clicking on a pop-up, you can be certain it’s a virus. Especially if you notice the difference and then a “tech support representative” contacts you right after. Or if an email offer seems a little too good to be true, it probably is. Be wary of tech support that initiations contact. Generally, tech support won’t contact you first. You must call them with the problem first, and they may call you back or get back to you via email, but that’s about all. Uninstall and delete any remote managing tools or applications you have may download. If you close the criminal’s doorway into your device they can do no more harm. Install a legitimate antivirus software and update your computer as soon as possible. Contact your bank or credit card provider to make sure there was no unusual activity on your account. If your computer still isn’t working right contact your real tech support to see if they can solve the issues. If the problems persist then consider restoring it to factory settings and restoring from backups. If you follow these guidelines this will greatly reduce your risk of exposure to criminals. It is especially important to keep a level head and use logic and reasoning today when surfing the internet. Many scammers will appeal to your emotions using anger, fear, love, or sympathy to take advantage of you. Stay one step ahead and be vigilant about guarding your information.